A Florida Senate bill that would ban the practice of “bundling” proposed constitutional amendments by the state’s Constitution Revision Commission cleared the Rules Committee Wednesday and is now headed to the Senate floor for a full vote. Unlike amendments proposed by the state legislature or citizen initiative, amendments proposed by the Florida Constitution Revision Commission (CRC) are not required to meet the single-subject rule. The CRC is a 37-member body that meets every 20 years to look at the Florida Constitution and propose changes for voter consideration. Fifteen commissioners are appointed by the governor, nine by the President of the state Senate, nine by the Speaker of the Florida House and three by the Chief Justice of the Florida Supreme Court. The state’s Attorney General automatically serves on the CRC and the governor designates the chair. The CRC meets regularly for about a year, travelling across the state to identify issues and recommend changes to the constitution. During that process they hold public hearings and consider proposed constitutional amendments submitted by the public. Any proposals that pass the CRC’s final vote are placed on the General Election ballot where they have to get at least 60 percent voter approval to become law. The commission won’t meet again until 2037. They will then begin considering measures to place on the 2038 ballot. There were five CRC amendments placed on the 2018 General Election ballot that contained more than one subject. Bradley said one constituent liked the offshore drilling ban in Amendment 9, but was unsure about the “bundled” vaping ban. The voter wanted to make sure Florida had an offshore drilling ban so the voter ignored concerns about vaping and cast a ballot in favor of the amendment, which was approved by voters. It was clear from Wednesday’s committee meeting that the proposal has widespread bipartisan support. Rodriguez is sponsoring SJR 690, a companion to Bradley’s bill, which would limit the Tax and Budget Reform Commission to single-subject amendments. Despite the similarities between Rodriguez’s and Bradley’s bill, they decided it would be better to not bundle the two anti-bundling proposals. While both of these bills and the House companion, HB 53, have so far received unanimous support in every committee stop made thus far, not everyone thinks bundling is such a bad thing. Attorney Tim Cerio, the former general counsel to then-Governor Rick Scott, was a member of the 2017-2018 CRC. He said they bundled issues for the voter’s benefit. “A lot of what we did at the CRC was to hopefully promote ballot brevity, at least to some extent, and prevent voter fatigue,” Cerio said on WLRN’s Sundial prior to the election. He said that’s why they bundled 22 proposals into eight proposed amendments - for the voter’s sake. According to Cerio, the last CRC bundled 36 proposals into nine amendments. But no one voiced those concerns during Wednesday’s meeting. The lone dissenter essentially called for the CRC to be abolished completely. In the end, members of the Senate Rules Committee voted unanimously in support of the bill, 17 to 0. “It seems like this is probably the least controversial thing we’re going to be dealing with in the legislature,” Rodriguez said shortly before casting his vote. SJR 74 is now headed to the Senate floor for a full vote. 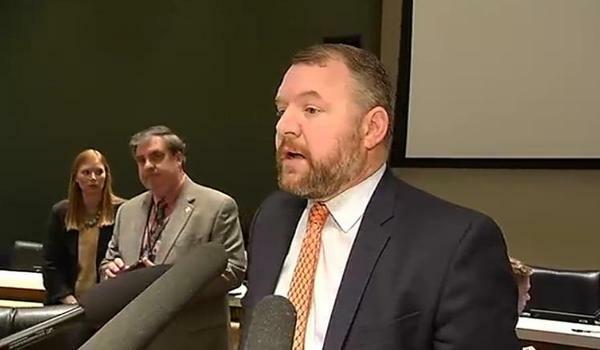 If the bill and its companion get three-fifths support in both the Florida House and Senate, the resolution would go on the 2020 general election ballot where it would require 60 percent voter approval to become law.